Members of the Bainbridge Island-North Kitsap Interfaith Council and others — about 20 people in all — gathered in the cool sunshine outside Waterfront Park Community Center on Monday, Dec. 10, at noon for to take turns reading sections of the Universal Declaration of Human Rights, which was adopted by the United Nations General Assembly in 1948. The document features a preamble and 30 articles affirming individuals’ rights. The community reading was led by The Rev. Dee Eisenhauer of Eagle Harbor Congregational Church, United Church of Christ, a past president of the IFC. This was the 70th anniversary of the signing of the declaration in Paris, France. Following the reading, several participants commented on articles that held particular importance to them. 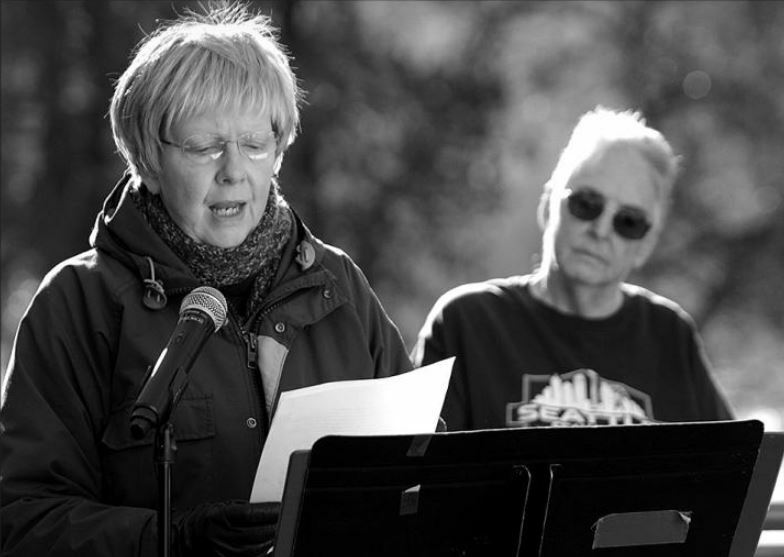 The community reading is staged annually by the Interfaith Council. You can read the document online.